From science to prediction, from prediction to action. Critic of French Revolution and metaphysical use of abstract Reason. 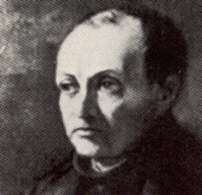 Emile Littré, Comte's main disciple, founds the Positivist Review in 1867. Against the background of development of capitalism and the breakdown of older hierarchies Comte thought that scientific sociology alone could provide the basis for a new form of social integration by providing 'an exact and complete representation of the relations naturally existing' (quoted in Beyond the Sociology of Conflict p. 144). Comte represents a classic attempt at a unitary evolutionary synthesis of humanity based on the view that society is an organism. This is a positive science that ultimately becomes a morality and religion with sociology at its apex as the 'universal science'. This is a highly dogmatic and totalistic theory. However Comte was one of the first to designate society as a unified object of enquiry (see Steven Lukes p. 82), a central assumption of modernist social science. He held strongly to the idea of an organic totality where the whole is more than its parts and thus thought beyond the category of the individual in terms of social being, humanity in general. Durkheim holds to the organic solidarity argument and the non-reduction of social being to the individual but sees Comte's theory as insufficient to the task of classifying and demarcating the particular elements of social being, and for this reason he draws more on Spencer. Comte and Spencer share many positivist assumptions but the latter represents a form of methodological individualism where the 'properties of the aggregate are determined by the properties of its units' and yet the various subdivisions within Spencer's evolutionary science were 'fruitful' to Durkheim's own investigations into the dual process of differentiated and associated being (see Lukes p 82-85). Like Spencer's, Comte's sociology develops alongside the idea of a natural process of evolution or development of societies into more complex and differentiated, multi-form states. So the sociology is positivist in its attempt to uncover these natural laws and tendencies of development. This is important as it introduces into the idea of society the conception of progress over static or synchronic accounts. Durkheim, Comte and Spencer all share affinities with Darwin's approach; the idea that the permanence of certain elements is due to their better disposition to adapt in their environment. Hence the extensive use of the organic analogy in Durkheim. Organic solidarity follows mechanical solidarity where in likeness to one another actors in a social system have relatively fixed forms of interaction, through complexification and differentiation these pass into the organic phase. Solidarity systems of the more complex organic type involve deeper ties between social agents.